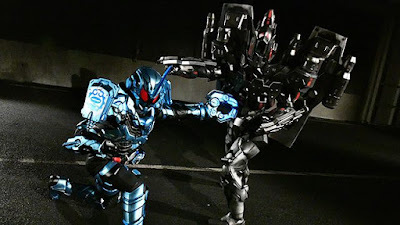 Kamen Rider Grease Blizzard in on the rampage to protect the memories of his fallen comrades and that of his friends but can he survive this battle? Find out in the next episode of Kamen Rider Build! Advisory: Kamen Rider Build will take a break this Sunday while Lupinranger VS Patranger airs but will resume on the following weekend.